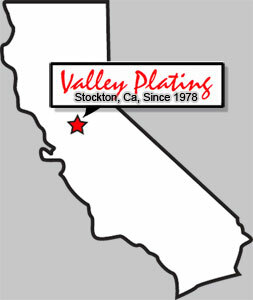 Welcome to the home of Valley Plating. 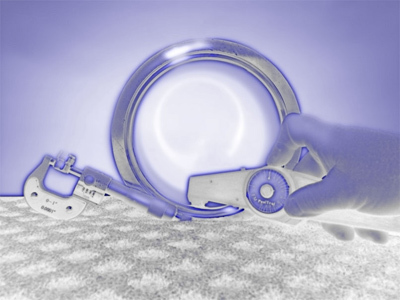 We were established in 1978 and have over 35 years experience in the metal finishing and plating industry. We invite you to take a look at our web page and see if we can supply you with the expertise to satisfy your need. Industrial Hard Chrome: Has excellent hardness (Rc68-74), wear resistance and erosion resistance. Has low coefficient of friction, and is resistant to heat. We specialize in polished Hard Chrome, a finish that enables certain operations to run more smoothly and adds longevity to the life of the part(s). The following list describes some of the applications and industries we serve. Decorative chrome: Takes in many applications; to describe it briefly, parts are first stripped to bare metal (this includes paint, rust, old chrome, etc.). We then carefully sand and polish each part, removing imperfections and creating a flawless or near flawless base metal surface. Copper plating and copper polishing follows the initial prep work, which leads to nickel plating, and finally the enduring chrome plated finish. Copper Plating: We copper plate antiques and other items people want to look like copper. We do polished copper items and can also “antique” copper items. Antique copper is a darker finish with copper showing through. Polishing: Stainless steel, aluminum, brass, copper, magnesium, and all types of metal. We can straighten and polish most stainless steel and aluminum automobile moldings.